In recognition for her outstanding contributions in the minority business community of San Francisco, Willie L. Brown, Jr., the Mayor of San Francisco, issued a proclamation stating that July 10, 2001 was Jinsoo Terry Day. 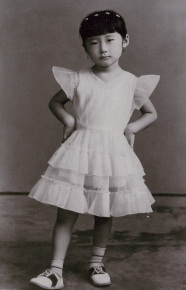 Jinhee Kim, above, took the name "Jinsoo," technically a boy's name, at the age of three, after a Korean monk told her mother that the name would bring her great success. Success in the 21st Century will require multi-cultural understanding and a global perspective. America will become stronger through the pioneering spirit of Jinsoo Terry’s F.U.N. Management philosophy. Jinsoo Terry is on a mission: Help people to acknowledge and respect differences while fostering cross-cultural solutions in the global world. Jinsoo Terry is an accomplished businesswoman and entrepreneur with over 20 years of proven expertise leading and delegating cultural diverse teams. She discovered nurturing cultural diversity in the workplace was a key to business success that resulted in improving productivity and the bottom line, and made it a fun place for individuals to work. Jinsoo Terry improves people's ability substantially to communicate across-cultural lines. Her training programs are world renowned for their effective, unique, and results-driven perspective. In her diversity training programs she brings cross-cultural solutions to the workplace. Jinsoo Terry, a multicultural diversity leader for over 20 years, challenges you to bring cross-cultural solutions to your company with Jinsoo Terry’s F.U.N. Management diversity training programs. Jinsoo Terry is a popular professional speaker in the San Francisco bay area and the global world on two fronts: First her own personal success story in mastering the challenges of getting ahead in a foreign culture, and second as well as her expertise in sales & marketing and team building with a cultural diverse workforce. Jinsoo Terry has become a model for all entrepreneurial global leaders and future unique leaders in the global world. Education In Korea, Jinsoo Terry attained a Masters Degree in Engineering/Textile Manufacturing and, at the age of 28, was promoted to be in charge of Research and Development of one of the nation's largest yarn-dyeing companies. This youthful accomplishment was even more remarkable, considering the male-dominated business environment at the time 20 years ago. At the same time, Jinsoo began pursuing her PhD in order to become one of Korea's best engineers. This confirmed Jinsoo's underlying philosophy in life: "Nothing is impossible. I, Jinsoo Terry, will succeed." 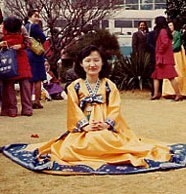 Jinsoo Terry brought this philosophy with her when she relocated to America in 1985. 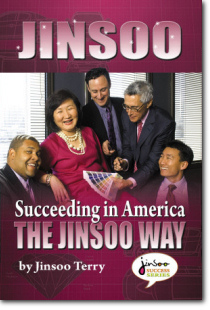 Immediately, Jinsoo realized that there were many communication problems in American companies. So she started developing training methods for corporate America. 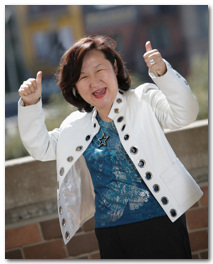 Jinsoo Terry and her company, Advanced Global Connections, were recognized as one of 20 women small business owners chosen for sponsorship by the "Make Mine a $Million" Business (M3) program run by American Express, Cisco and QVC Shopping Network. ABC TV hails Jinsoo Terry as one of the top 10 Asian Pacific Island community leaders. Jinsoo Terry Day in San Francisco, Proclamation of San Francisco's Mayor Willie Brown Jr.
Business, at its core, is about people and their relationships with one another. By experiencing a wide variety of cultures, arts, ethnic food and drink, you too can enrich not only your social life but your ability to conduct business worldwide. To become a global leader you have to experience working with a multicultural diversity workforce. You have to remove your cultural barriers and you will become one of the top-notch unique leaders in the global world. Discover Jinsoo Terry’s world. Click here for an interactive slideshow of just some of Jinsoo's world-wide travels. Jinsoo Terry shared her accomplishments because she wanted everyone to have hope and know that they can succeed. "Every day I see people who are stuck," says Jinsoo. "I believe I can help them break away from their ruts and move ahead by sharing my experience, triumphs, and philosophy." Jinsoo Terry was so serious about this that she created and recorded a rap CD featuring her song: "If Jinsoo Can Do It, You Can Do It Too!" She felt that with a positive message in rap and hip-hop music she could reach young people. 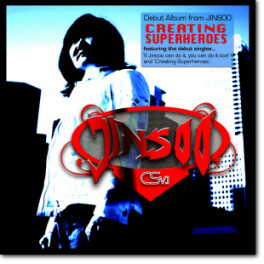 Today, she has added a CD album of music entitled: "Creating Superheroes." Jinsoo Terry created PALBOT®; a global education series that follows the adventures of Mr. Kim, a Korean businessman, and his robotic guide Palbot as the two head to America where the robot teaches Mr. Kim lessons on proper business etiquette in Corporate America. This graphic presentation is an easy way to help foreign individuals understand American customs. Each issue will teach in an entertaining and comic book style a different American custom and embracing multicultural diversity in the global world. Jinsoo Terry shows that multicultural diversity in the workforce can be fun, productive and bring out the creativity in people when they are encouraged to start. Learn how to achieve global success by experiencing F.U.N. in San Francisco! Walk away as one of the powerful unique leaders in the global world. Advanced Global Connections trains executives and managers to be top-notch unique leaders in the global world. Customized training programs, public seminars and consulting to show executives all types of activities that can help them motivate their employees, increase productivity, improve the bottom line, and bring fun and laughter to the workplace. 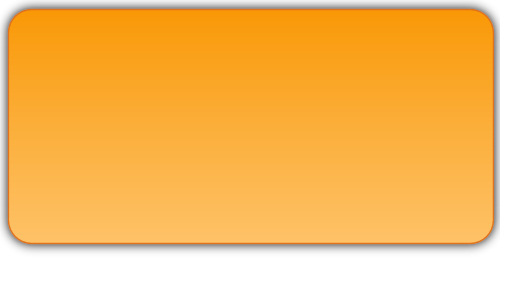 Each program is custom designed for the company to fit their needs.